No time for complex nail art but have burning desire to do something with your nails? 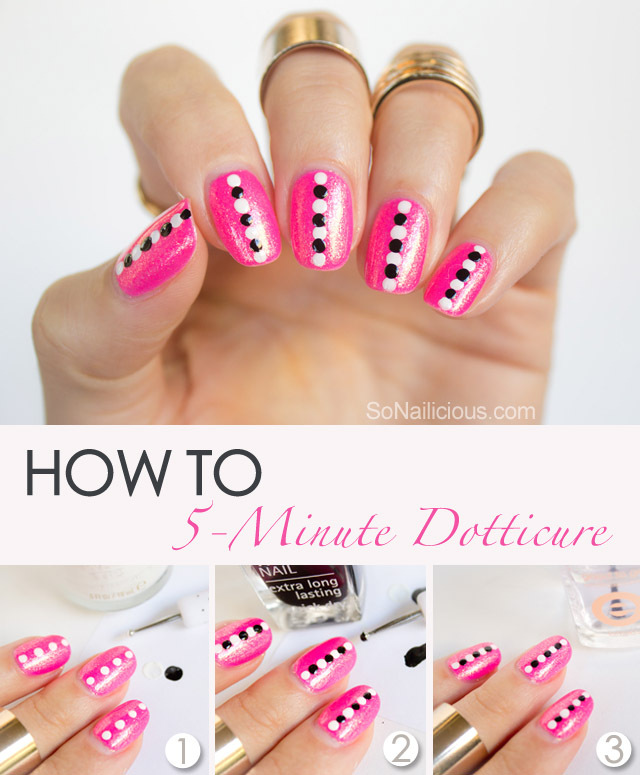 Try this super easy 5-minute dotticure. No special skills or tools required! Though, if you have a dotting tool, that’s awesome. If not just use a toothpick or hair pin instead. Another great thing about this nail design is that it can be done in any colour you like. The dotted line done in classic black and white will look great on any base colour. It’ll even work on metallic or chameleon polish. *Assume you’ve already painted nails with some bright colour. In our case it was this crazy neon pink polish with gold shimmer. 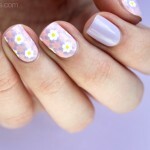 Using dotting tool make white dots on all nails as pictured. 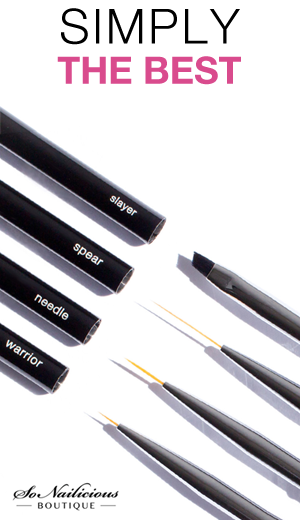 Clean the tip of your dotting tool or take another toothpick. Then dot, dot, dot!!! Add black dots of the same size as white dots. 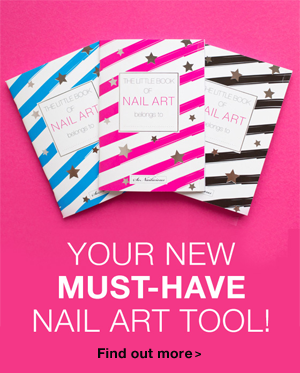 Let your design to set for 5 minutes (you don’t want to smudge black polish). Finally, seal the deal with two generous layers of a quick drying top coat. You’re done, easy! 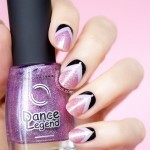 Used: Dance Legend 547 Bubble Gum Neon Pink, Essie Blanc and Licorich (black and white) and Essie Good To Go top coat. 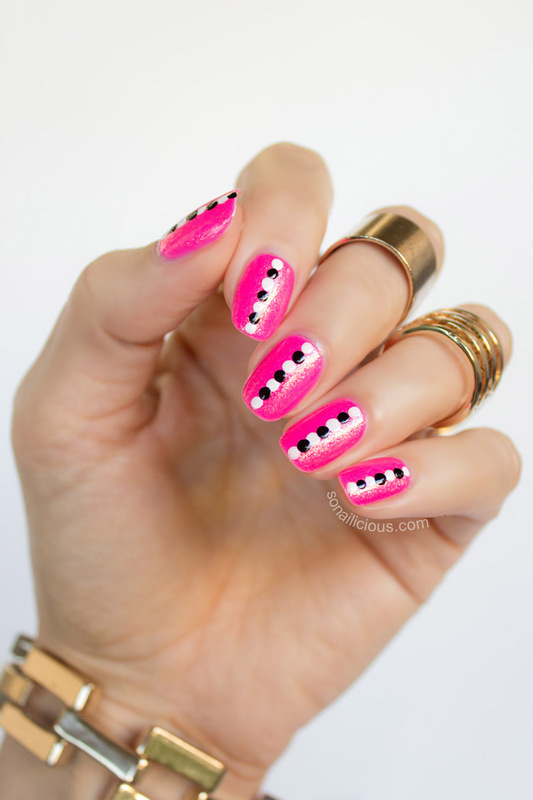 Hope you enjoyed this super-quick dotticure tutorial! Look forward to seeing your version! If you recreate this nail design, make sure you tag @So_Nailicious in your photo on Instagram we’d love to see your work.